Donating a car to charity is one of the most generous gifts you can give. Learn about charity car donations below. How to donate a car to charity? DonationTown.org has made donating a car to charity easier than ever. This is the place to connect to a charity in your area and, in minutes, schedule a fast, free pickup of your vehicle. Donating a vehicle can have a huge impact on the charity of your choice. Some charities will decide to use your donated vehicle in its charitable work — as a delivery van for bringing food to those in need, as a caravan to pick up youngsters for weekly activities, as a shuttle service for senior citizens who are looking to get out and about. Other charities may turn around and resell your car donation for cash to help further the organization’s cause by funding its operations and activities. DonationTown.org will put you in touch with a charity in your area that meets your criteria and will help you get that car out of your driveway and into the hands of someone who can make good use of it. Where can I donate a car to charity? There is good chance that a charity in your community will welcome your car donation, no matter what the style, size, model or condition. DonationTown.org can help you find the perfect charitable organization in minutes, and at no cost to you or the charity! Though some charities may prefer certain types of vehicles, many organizations accept a range of vehicles. Donate a car. Donate a truck. Donate a van or camper. Donate fleet vehicles. Donate trailers. Donate a boat. Donate an RV. DonationTown.org will connect you to a charity that will welcome your car donation. Can I donate a car that doesn’t run? Some charities will accept those clunkers that have been plunked in the yard for ages. Cars that no longer run can be used for parts, or even as practice vehicles for trade school courses or mechanics-in-training. 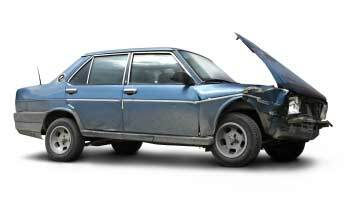 It’s best to discuss the condition of the car you would like to donate with the charity. DonationTown.org will help you find the organization you’re looking for in no time. What about the car title? And what if I don’t have the keys? In general, charities prefer that the car donation be accompanied by the car title, as well as the keys to the vehicle. Keep in mind that before you donate your car to charity, you should be sure to formally change the title of the car and report the change to your states DMV or licensing in order to avoid confusion (or someone else’s parking tickets!) later on. 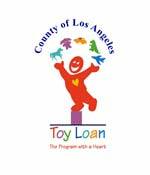 However, if you don’t’ have the car title or the keys, some charitable organizations may be willing to accept your car donation. Find the charity you’re looking for at DonationTown.org. To ensure that you get the most out of your car donation, we invite you to consult the IRS publication, A Donor’s Guide to Car Donations . This guide explains the rules for making a tax-deductible donation and offers helpful advice at each step of the donation process. It is important that you and the charity make the most out of your generous car donation, so be sure to keep a paper trail of your donation and consult the IRS guide. I’m ready! How do I donate my car to charity? For many of us, donating a car to charity is a pretty big deal, so you want to make sure that you get it right. DonationTown.org is the ideal place to begin! DonationTown.org will connect you with a charity in your area that accepts car donations. In a matter of minutes, you will be on your way to helping out a charity of your choice in a major way.